Citrus aurantium goes by many names, bitter orange, marmalade orange, Seville orange, sour orange, and bigarade orange. N-methyltyramine, octopamine, and synephrine may be extracted from Citrus aurantium and may help with weight loss and bodybuilding. Where Does Citrus Aurantium Come From? Citrus Aurantium is type of orange that is used to breed sweet oranges that we enjoy to eat, and also appears in various dishes all over the world. Ephedrine (ephedra) is a well-known thermogenic (increasing metabolic rate) that has been proven to be very effective weight loss aid. 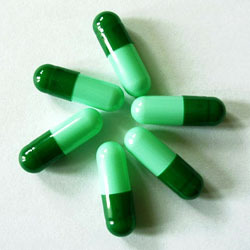 However, over the recent years, its over-the-counter use has been banned in countries such as Australia and the US. Consequently, a substitute for ephedrine has been sort after. As a result, Citrus aurantium has become extremely popular due to its extracts containing substances chemically similar to ephedrine. One review stated that Citrus aurantium may in fact be best substitute for ephedrine. The mode of action of Citrus aurantium has been speculated through its action as an appetite suppressant, as well as being a thermogenic compound (Haaz et al, 2006). In the body it has an effect similar to adrenalin, and increases blood pressure and heart rate. Consequently, it may be of help to those wishing to lose a few kilos, or for body builders wanting a more cut up look. A couple of reviews have reported that Citrus aurantium show promise as a weight loss aid. Studies have reported Citrus aurantium were able to increase not only weight loss, but also fat loss and basal metabolic rate among supplemented subjects when compared to a placebo (Preuss et al, 2002). Haaz et al (2006) summarised a series of studies showing the positive effects of supplementing with Citrus Aurantium. One such study showed a 66% more weight loss over eight weeks among the supplemented group compared to the placebo group. However these authors point out that Citrus Aurantium is not as well studied as Ephedrine and further quality, long term research is needed in this area. Ephedrine was pulled from the market as a result of safety concerns. It is therefore important to establish the safety of a similar product. Studies on small groups of people in the short term (less than eight weeks), as well as animals show little adverse effects (Haaz et al, 2006). Side effects reported include headache and moodiness. A study spanning 60 days with 25 subjects showed that even high doses of almost 100 mg synepherine from Citrus aurantium extract resulted in no significant side effects or measurable health issues (Kaats et al, 2013). Citrus Aurantium has been used for thousands of years as a traditional herb. However, it was never used over extended periods. Some authors have suggested that individuals suffering from high blood pressure or are on prescription medications should take caution when deciding to supplement with Citrus aurantium. This is because of its adrenalin-like effects. If you are considering supplementing with Citrus Aurantium and feel that you may suffer from side effects, please consult a healthcare professional. Follow the instruction on the label and it has been recommended never to exceed 1000 mg/day. Generally, Citrus auantium can be taken first thing in the morning and with (or before) meals. Due to the above effects of Citrus aurantium and its extracts, it is a very popular ingredient in fat burners. As a stand-alone supplement, Citrus Aurantium can be stacked with other fat burning ingredients (caffeine, capsaicin, etc), and fat metaboilisers (eg L-carnitine). However, if your full strength fat burner supplement already contains Citrus aurantium, it may be wise not to consume additional quantities. Haaz et al (2006), Citrus aurantium and synephrine alkaloids in the treatment of overweight and obesity: an update. Obesity Reviews, 7: 79-88.